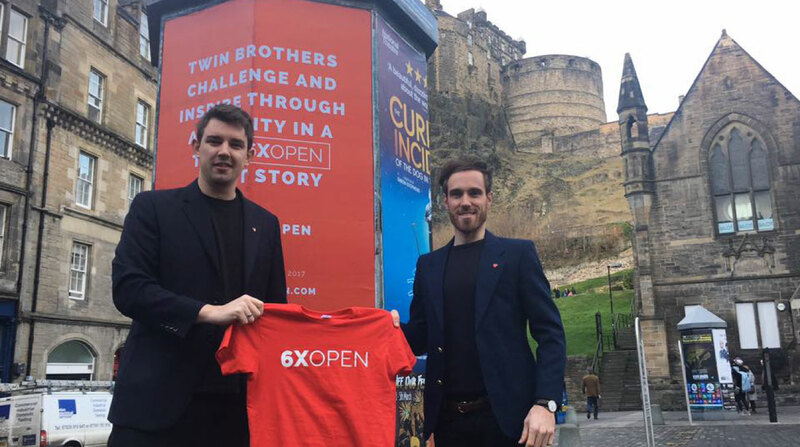 SIX TIMES OPEN is a campaign to raise 100K in a year for the British Heart Foundation, run by fraternal twins, Jonathan and David Stretton-Downes. February 2017 saw the launch of our latest Ad campaign across Scotland and we are proud to be working closely with CCP, bespoke OOH specialists who are passionately supporting the campaign cause. We have over 30 sites across Glasgow and Edinburgh which are helping to spread the campaign message throughout Scotland and we’ve had some great feedback and interaction so far. Look out for the Ad’s in Edinburgh and Glasgow, we would love to see some public interaction! Keep your eyes peeled for sites in London coming soon!